3 Nights Free on 7-night Fiji cruises Sales Extended!!! 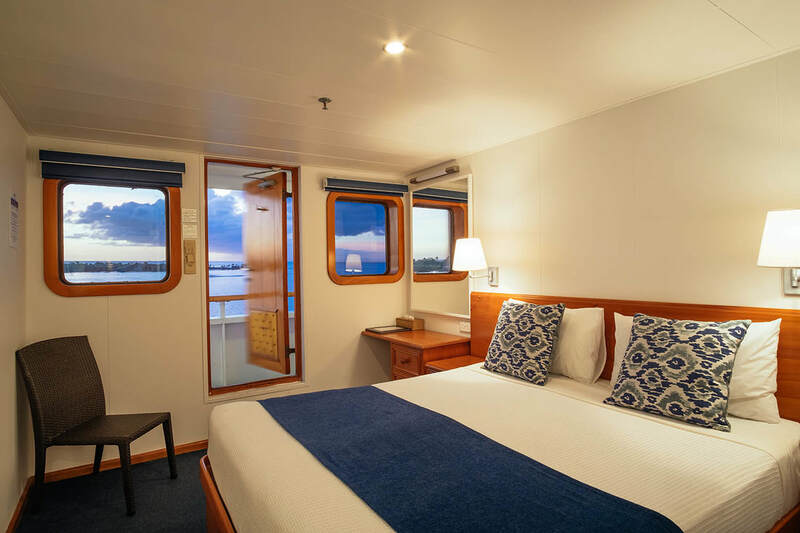 Small ship cruise specialists, Captain Cook Cruises Fiji, have extended their ‘Three Nights Free Sail’, until 31 March 2019 with travel valid until 31 March 2020 including over school holiday periods. Book any seven-night Fiji cruise and save up to AUD$1350.00 per person, twin share. Captain Cook Cruises Fiji’s seven-night itineraries include the seven-night Mamanuca and Yasawa Islands cruise which departs every Tuesday and Saturday and the seven-night 4 Cultures Discovery or Colonial Discovery cruises which depart one a month on alternate months. 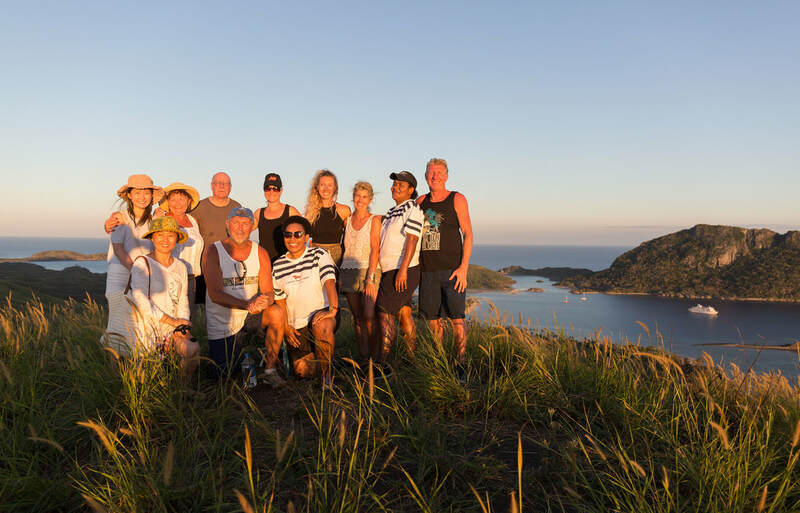 The seven-night Yasawa Islands and Mamanuca cruise discovers the beauty of the Southern and Northern Yasawa Island group and cruises through the spectacular passage from Yaqeta Island to the Yasawa’s northern reaches. 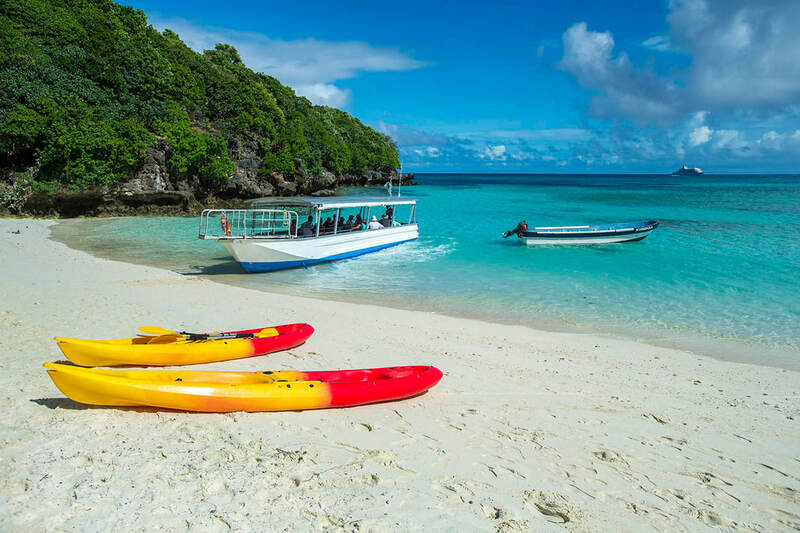 The cruise visits the islands of Waya, Naviti and Viwa, the private island of Tivua, the Sawa-l-Lau limestone caves and the blue lagoon and Mononki – the island where Tom Hank’s movie Castaway was filmed. 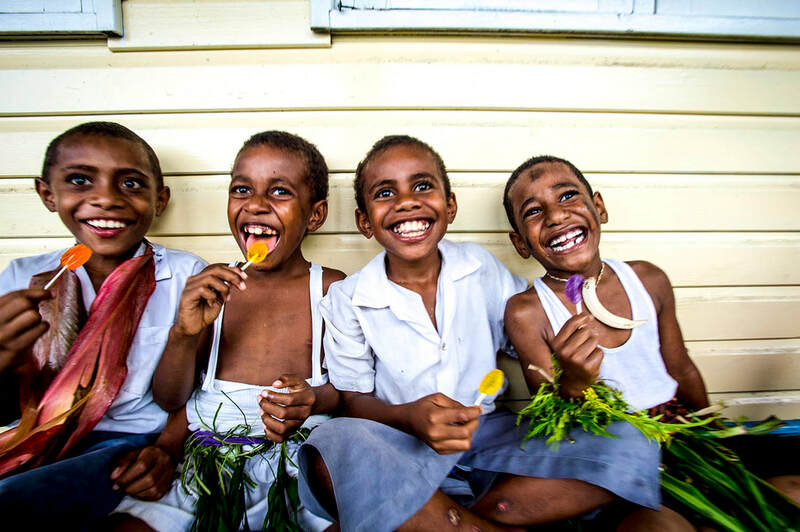 The seven nights 4 Cultures Discovery cruise circumnavigates Vanua Levu, Fiji’s second largest island and visits four distinctive Fijian cultures including Ellice Islanders (Polynesians), Banabans (Micronesia), Fijians and Indians. The cruise visits the islands of Kioa, Rabi, Labasa Town, Kia Island and the world’s third longest barrier reef, “The Great Sea Reef”. Scheduled departure dates for 4 Cultures Discovery Cruise include 1 January, 7 May, 2 July and 3 September 2019 and 7 Jan 2020. Captain Cook Cruises seven nights Colonial Fiji Discovery Cruise reveals the unique history, art and culture of the Northern Fiji Islands and allows passengers the ultimate experience of ‘standing’ on the 180th Meridian, the natural dateline. The cruise also visits the recent Heritage listed old capital of Levuka on the islands of Ovalau, Taveuni, the garden island and Savusavu, a town of hot springs and Pearl farms. 2019 and 2020 departure dates for the Colonial Fiji Discovery Cruise include 5 February, 2 April, 4 June, 1O October 2019 and 4 February 2020. All cruises are aboard newly refurbished small ship, MV Reef Endeavour, which explores parts of Fiji larger ships cannot get to. Visiting remote villages, churches and schools and partake in traditional village sevusevu ceremonies and Meke and Lovo feasts. 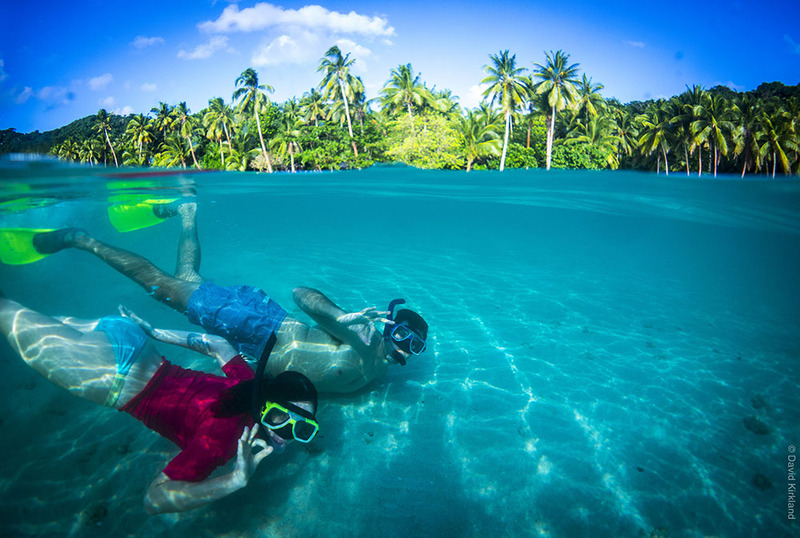 Experience the underwater world with daily swimming, kayaking, paddle boarding and snorkelling off picturesque islands and in beautiful lagoons. Go glass bottom boating or try mind blowing scuba diving operated by Viti Water Sports, a PADI5 Star Dive Centre Dive with two dives offered daily and always in different locations. On-board be pampered at the ships Senikai Day Spa, relax on the sun deck by the jacuzzi or pool, work out in the mini-gym, play a game in the lounge or grab a cocktail at the pool bar and watch the breathtaking scenery pass by. Enjoy mouthwatering cuisine including buffet breakfasts, alfresco lunches, casual barbecues and table d’hote dinners. All food is prepared on board from fresh local and imported produce. A complimentary Kids Club is available for children 5 -9 years where children can make new friends, have lots of fun and learn about and experience the Fijian culture. Kids Club operates between 9.00am and 12noon, 2.00pm to 5.00pm and from 6.00pm and 9.00pm. The ‘Three Nights Free’ cruise sale is valid on all room categories including “A” Tabua Suites, “B” and “C” Ocean Staterooms and “D” Porthole Cabins and on sale until 9 November 2018 with travel valid until 31 March 2019. Prices for the ‘Three nights Free Sail’ for all seven-night cruises start from AUD$2045 per adult twin share, normally AUD$3395 per adult twin share and AUD$640 per child (5-17 years) sharing with an adult, normally AUD$1065 per child sharing with an adult. All fares include shipboard accommodation, all meals, guided village, school and island tours, snorkelling and glass bottom boat excursions, daily island stopovers and water activities, hikes and Kayak safaris, on board entertainment, kids club (5-9 yrs), onboard Wi-Fi, 24-hour self-service tea and coffee bar, post cruise transfers to Nadi and Denarau hotels and Nadi airport and use of the ship's facilities including a swimming pool, jacuzzi, mini gym, sun deck, cocktail bar and library. .
Email: fiji@captaincookcruisesfiji.com or visit www.captaincookcruisesfiji.com or contact your licensed travel agent. 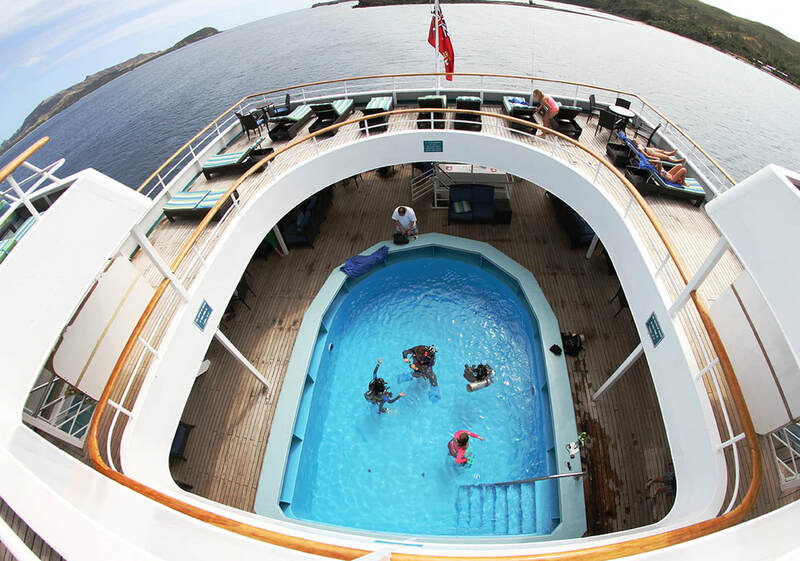 Captain Cook Cruises Fiji is highly recommended by Australian Cruise Magazine. We have sailed with them on several occasions and are looking forward to reviewing them again next year.